Mam beena sarwar or what eve U are really spoliling the minds of youth of Pakistan…..do u really know what the hell are U writing ……I am a student of 1st year Pre Medical………..What ave u done in your life han,,,,,,Quaid is the one who made us free from british and hindus ….U r saying he was secular…..
No comment. Abusive language deleted. The recent book of Jaswant Singh is creating buzz on the main stream medias of both indopak. 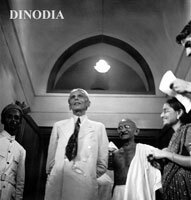 Again what is being told to us the “greatest leader” Jinnah is being praised by a Hindu it means that Pakistani should more proud on their leader. But the story is different, yet the our official historians manipulated the history for their cause. The attempt of Jaswant is just to praise himself as liberal leader and make his book best seller. In Pakistan we see the conservative PML Q’s Mushahid Hussain announced that they would have inauguration ceremony of Singh’s book in Pakistan on their expenses. The so-called independence was not achieved through any struggle rather bargaining with imperialism. The partition of the Indian subcontinent was a wound inflicted upon the living body of one of the oldest civilizations on earth. It again indicates to us the old 63 yrs story that Hindus are your enemies and so so. 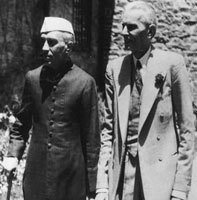 i would like to bring some hidden truth about Jinnah. Another incident with shows hypocrisy of Jinnah. 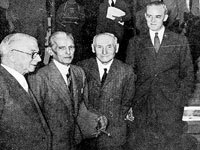 Jinnah while delivering his presidential speech at the Muslim League convention on July 19, 1946 said ,”I am not prepared to discuss ethics. We have a pistol and are in a position to use it.” What followed was an unimaginable massacre of Hindus in Kolkata on August 16, 1946. Six thousand killed, twenty thousand raped and maimed. The role played by them should bring to general people and let people decide them. You cant fool the history, people will know one day. 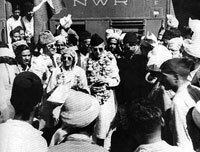 The bloody partition was done for emerging Muslims capitalists.